My mother, Annette Altman, always made her brisket this way, and my mother-in-law Rosa Poliakoff made hers with carrots, celery, and onions and beef broth. Brisket is a no-brainer. The longer it cooks (on a low oven), the more tender it gets, as long as there is liquid for the meat to absorb. Just the smell of brisket cooking in the oven evokes memories of family, holidays and warmth. It is one of the threads that binds one generation to the next. Mix ketchup, onion soup mix, brown sugar and red wine. Put brisket in a pyrex dish lined with foil. Pour sauce over meat, cover with foil. Bake on 350 for 4 hours. Meat is done when fork inserted in meat sinks in easily. When the meat is done, put on cutting board and slice against the grain. Serve with sauce in the pan. 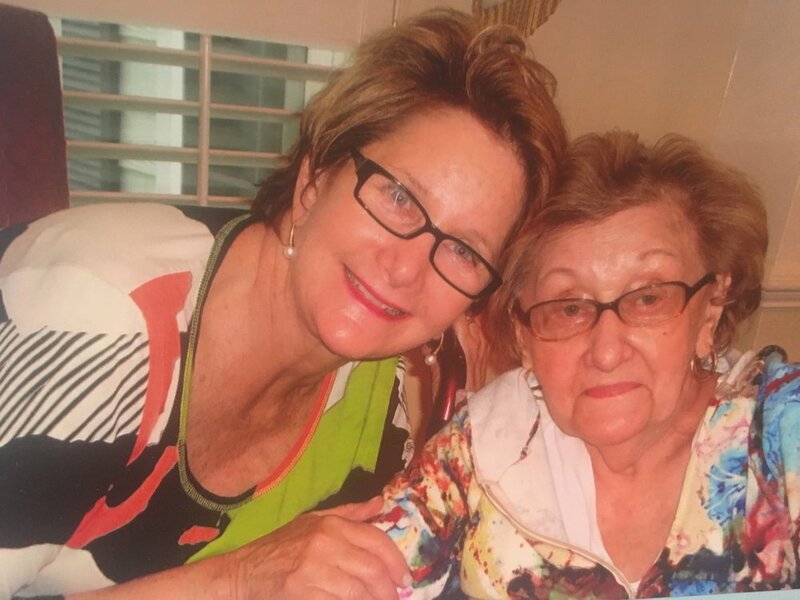 Sandra and her mother, Annette Altman.